The Bobby Fischer I knew and other stories is a classic. 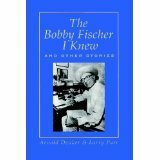 "This Damon Runyan like work will inform future generations about such greats as Bobby Fischer as well as the New York Chess scene during the Golden Era of the 1930s and 1940s. In the introduction Larry Evans writes that the authors capture "some of the most raucous and colorful figures in 20th century chess" with a "Dickensian precision". There are over 300 games and positions, many never before published. The games are at the end of each chapter and have light notes and are of no instructional value. 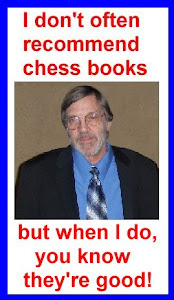 Anyone who loves chess and is interested in its history especially in its golden age of the 1930s and 1940s and the quirks and mannerisms of giants like Alexander Alehkine, Max Euwe, Isaac Kashdan, Fred Reinfeld, Reuben Fine, Samuel Reshevsky will love this book. As on e reviewer put is, “Reading about life at the Manhattan Chess Club in the early 20th century can only make a reader nostalgic for a time before data bases and the need to memorize hundreds and thousands of openings.” That’s because Denker writes about the human side of chess: its history and colorful characters. I loved this book. No chess instruction, but it was a lot of fun to read.